Bosnia and Herzegovina, September 24, 2009. 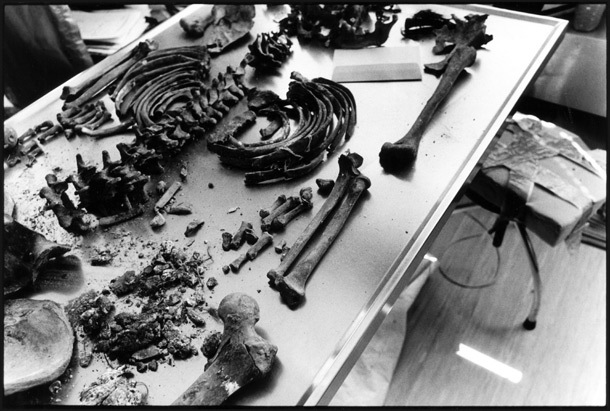 At the forensics lab and morgue in Tuzla, run by the International Commission on Missing Persons, unidentified exhumed bones await DNA identification. Once a body has been 75% identified it is then returned to the family, with any artifacts recovered with it, for burial.